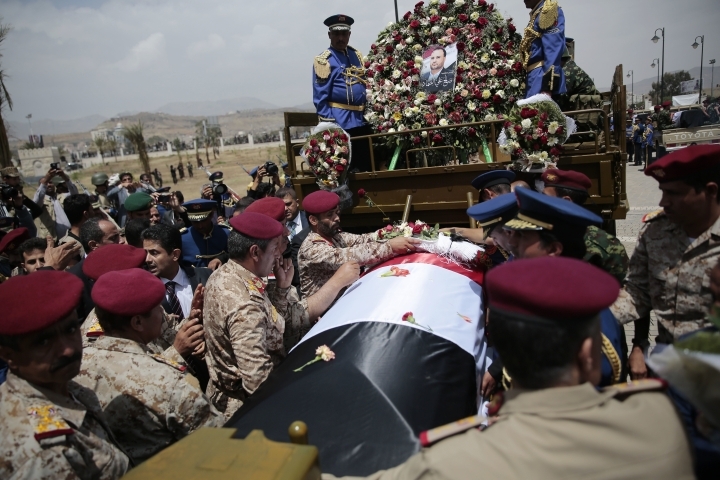 SANAA, Yemen — A Saudi-led airstrike targeting a high-level meeting of Shiite rebels in Yemen's capital killed two of the group's leaders and dozens of their militiamen, the kingdom's state media reported early Saturday. 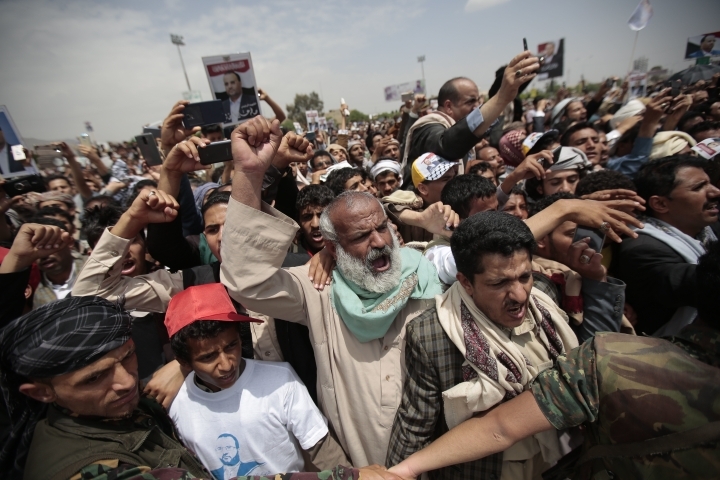 The Shiite rebels known as Houthis did not immediately acknowledge the strike. Saudi state-run television offered the report, saying the strike Friday killed more than 50 militiamen, including the two leaders. It did not elaborate. That dispatch followed a far more detailed report on the strike by Al-Arabiya, a Dubai-based satellite news network now believed to be majority-owned by Saudi Arabia. Al-Arabiya, without offering a source, said the strike hit a building belonging to Yemen's Interior Ministry in the country's rebel-held capital, Sanaa. 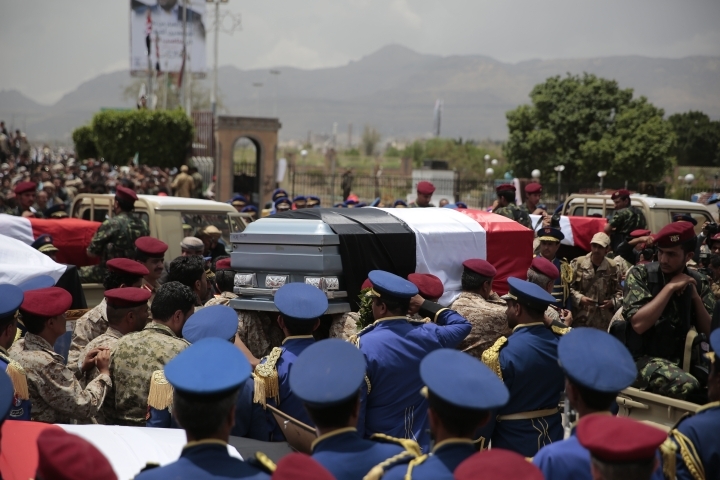 It said more than 38 Houthi fighters including the two leaders were killed in the strike targeting a high-level meeting. 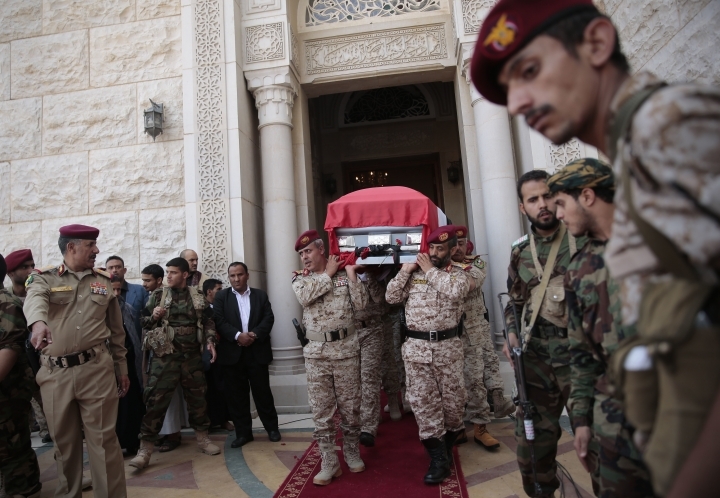 Al-Masirah, a Houthi-run satellite news channel, acknowledged that Houthi leaders met Friday to discuss Saturday's funeral of Saleh al-Samad, a Houthi political leader killed over a week ago in a Saudi airstrike on the coastal city of Hodeida. However, the only airstrike Friday night in Sanaa the outlet reported on involved wounded civilians. Later, Al-Masirah reported that Houthi forces fired eight ballistic missiles at "economic and vital" targets in Saudi Arabia's southern city of Jizan and hit the targets with "high accuracy." The Saudi-led coalition said in statement, carried by state news agency SPA, that the kingdom's air defense forces intercepted four of the missiles fired toward Jizan. The Directorate of Saudi Civil Defense said it received reports that shrapnel killed one civilian and damaged two houses and three vehicles. 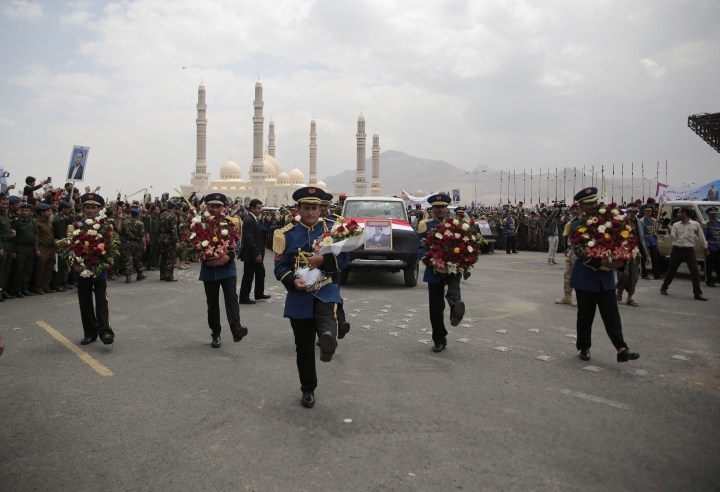 Houthis held al-Samad's funeral in the capital, bringing together thousands of Yemenis in Sabeen square to pay tribute to the slain head of the rebels' Supreme Political Council, which runs rebel-held areas in Yemen. Top Houthi officials including al-Samad's successor Mahdi al-Mashat, a former Houthi fighter, attended. 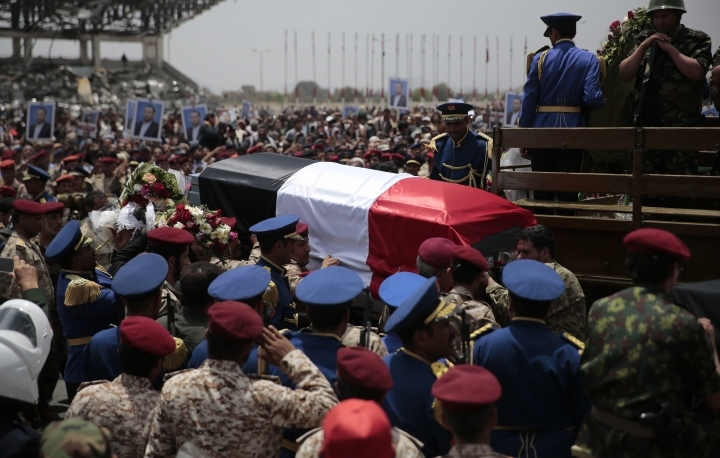 Houthi leader Abdul-Malek al-Houthi vowed to avenge al-Samad's death. The Shiite rebels, known as Houthis, have previously fired missiles targeting the Saudi mainland, including the capital, Riyadh. 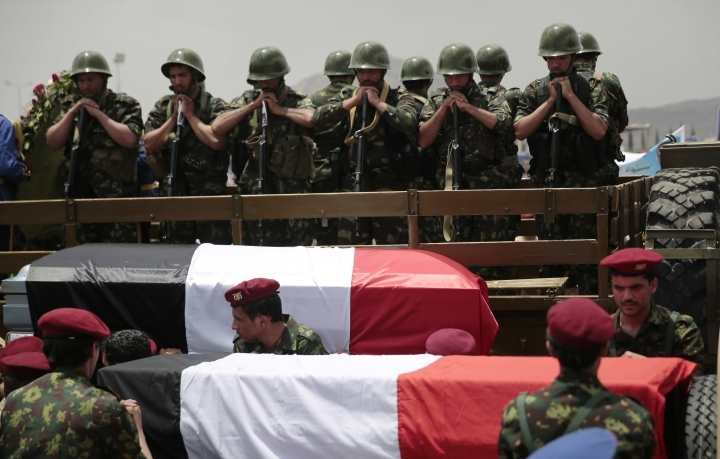 They see themselves as retaliating against heavy Saudi-led airstrikes in parts of Yemen. Earlier this month, Saudi Arabia said the rebels had fired at least 116 missiles at the kingdom since it went to war in Yemen in 2015. 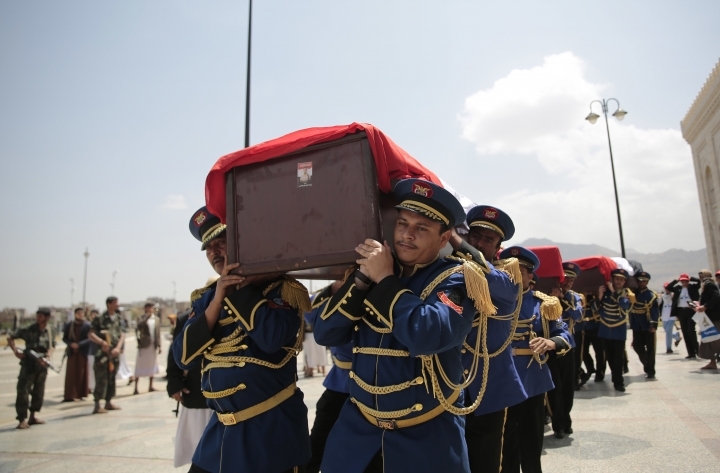 Yemen's three-year stalemated war has killed more than 10,000 people, displaced 3 million and helped spawn a devastating cholera epidemic in the Arab world's poorest country. 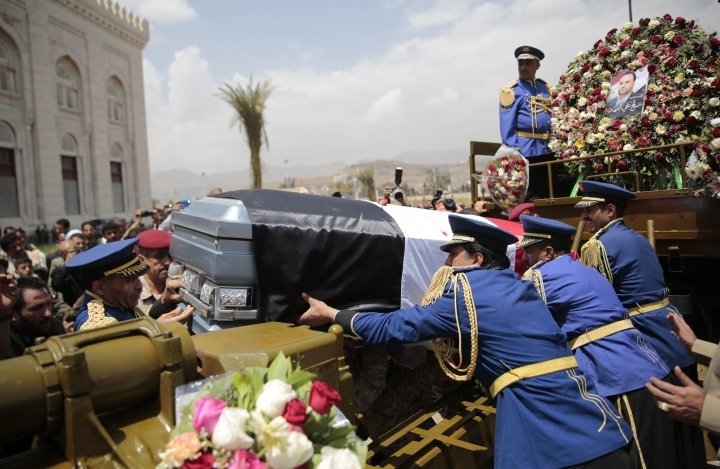 It began after the Houthis swept through Sanaa and farther south, sparking a Saudi-led military intervention on behalf of the country's internationally recognized government. The kingdom's devastating air campaign repeatedly has struck markets, medical facilities and civilian targets, drawing international criticism. The coalition's blockade on ports under Houthi control has been a main factor pushing the country into near starvation, according to United Nations agencies and rights groups. Meanwhile, the Iranian-backed Houthis face criticism for laying mines that have killed and maimed civilians, while allegedly diverting humanitarian aid to their own cadres and conducting mass roundups of their perceived enemies.